Would you like to meet the challenges you have as a parent or child-caregiver with less stress, and more ease and insight? Are you tired of ‘expert’ advice on ‘how to fix your child’, (which invariably doesn’t make the promised difference)? Do you feel overwhelmed by thick parenting books, which you neither have the time to read nor the patience to search through for the answers to your specific issues? Would you like to be more empowered – as a parent and as an individual – and to help your child become more empowered too? If you answer YES to any of the above, individual PARENT-COACHING may give you the answers you’re looking for. Parent Coaching helps parents see and understand life through the eyes of their child, making it much easier to guide their child effectively. Through a series of 1-hour individual sessions, the coaching process helps parents become better able to help their child reach his or her unique potential and make appropriate choices as she or he grows. One of the great benefits is that the parent-child relationship becomes more loving and mutually respectful. Parents who want to ‘un-spoil’ their children. Parents who want to see life through the eyes of their children so that they can better guide them. Parents who want more positive tools and skills to use in their interactions with their children. 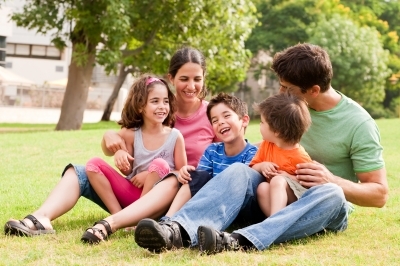 Parents who have decided to separate but want to co-parent in a cooperative, peaceful manner. Inter-racial/cross-cultural couples with children (or single parents with a multi-racial child), who want to integrate their differences into positive and enriching life-experiences. Parents who want to understand the developmental stage their child is going through. Teachers, child-care-givers and nannies who want positive skills and tools to help children manage their emotions and build emotional intelligence. Parent-Coach Jennifer Day has over two decades of experience working with a cross section of parents from around the world –and over 30 years of experience working with children and their families. She has written/co-written six books for parents (2 on best-seller lists) and is herself a mother and grandmother. She is a member of the Association for Coaching UK and the International Association of Coaches, and ensures she has regular supervision and professional study to ensure continued professional development.